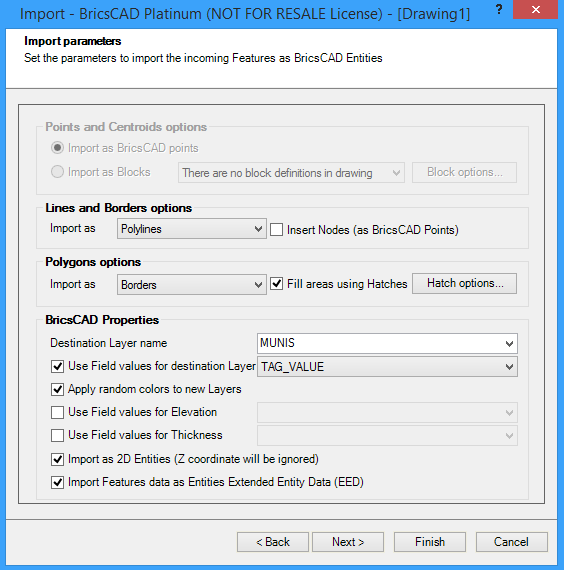 ← Is BricsCAD A Real Alternative to AutoCAD? AutoCAD Map is an extremely powerful tool supporting spatial projections, topology, thematic mapping and more. But it is expensive at $5245. 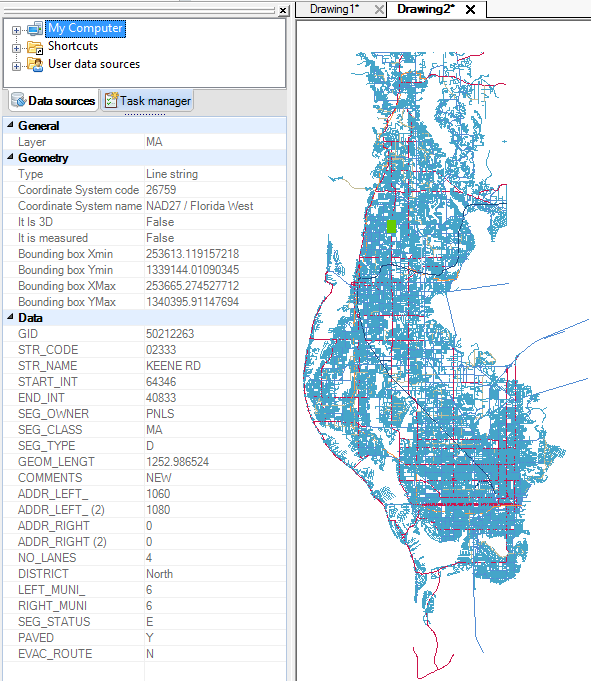 I was searching for a low cost alternative that provides the most commonly used spatial data management features at a reasonable cost. I had the pleasure this week of putting Spatial Manager(SPM) through its paces. Spatial Manager is provided in three versions Desktop, AutoCAD and BricsCAD. I tested SPM with BricsCAD Pro, a $650 package that offers all of the functionality of AutoCAD and more because a number of our clients are looking for complementary seats to costly AutoCAD Map and Civil 3D licenses. At $299, Spatial Manager provides users with everything they need to add geospatial functionality to BricsCAD. 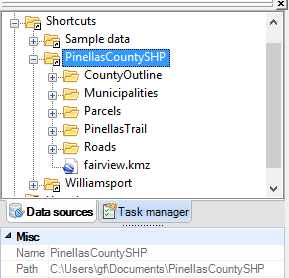 Easily import and export Esri SHP files. Adds projection information to the dwg files. Although I have a few wish list items for future releases, I give Spatial Manager 5 stars for ease of use, functionality and return on investment. Combined with BricsCAD Pro, for $949 you get exactly what you need for spatial data management at less than 20% of the cost of AutoCAD Map. One of the stated advantages of BricsCAD is that it will run effectively on lower performance computers. This is a huge advantage if end users do not have to upgrade their hardware as part of a software upgrade. I used an HP Beats 15″ notebook, 8GB Ram, Windows 8.1 and an AMD quad-core processor ($599). The municipal boundaries in the County are extremely complex with many interior polygons. I elected to have this file loaded as solid filed polygons on separate layers based on municipality name. The output was exactly as expected. 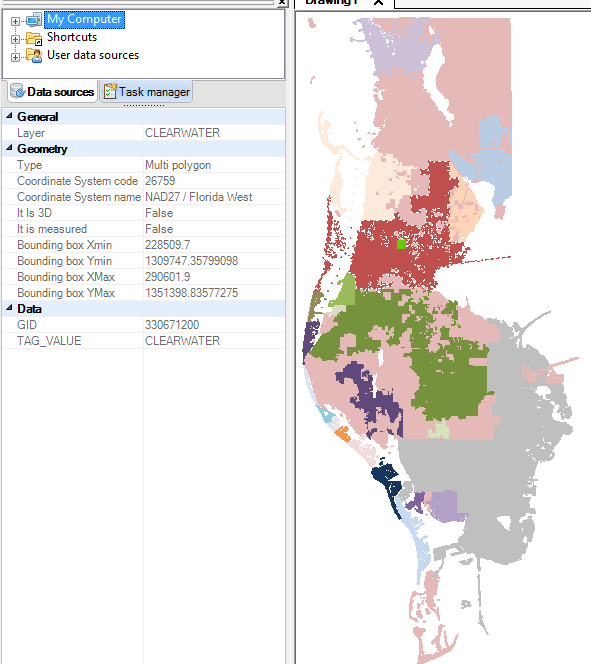 The application loaded 1,200 solid filled polygons, with associated Xdata and themed by municipality name in under 10 seconds. Note that the SPM also loaded standard coordinate system information and stored this information in the drawing file. 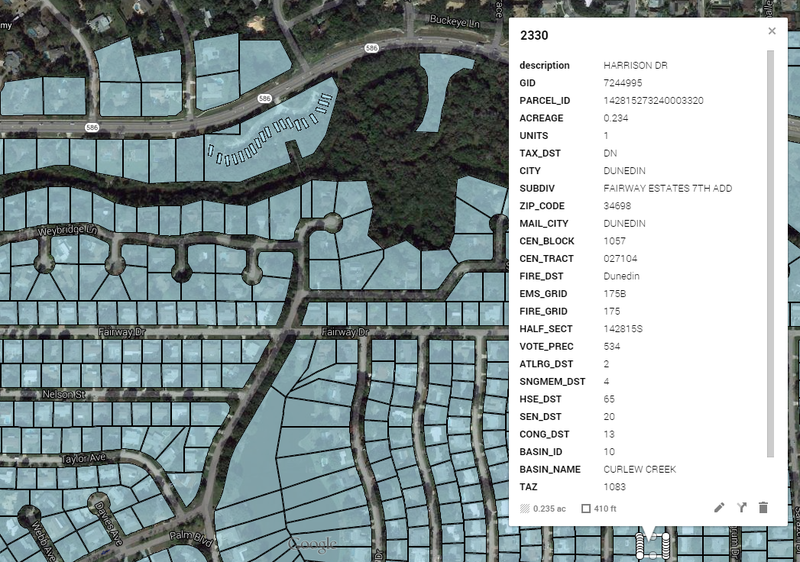 The road centerline SHP file contained 57,000 polyline segments. Attribute information contained attributes such as name, start and ending address ranges, owner, number of lanes, segment class etc. For this file, I elected to have SPM load the segments and separate them by segment class. This allowed me to easily separate the network by classifications such as major arterial, collectors, local roads etc. Loading the same file without EED took 2.5 minutes. 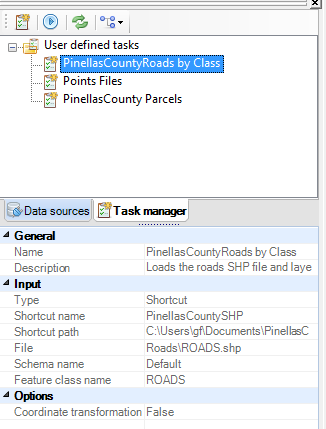 The points file loading process allows users to select the points file and define a block to be used when the points are placed. The user interface is a simple and intuitive. As the name suggests, this process only loads a file containing x,y and z coordinates. If you need to also load attribute data, you must use the ODBC interface with an Excel or MS Access database. I was testing this key feature using Excel 2007 with BricsCAD/SPM 64 bit versions. I am sure many users would make the same mistake! The ODBC setup video demonstrates the process and I am certain that there is no problem with this implementation in SPM. I will revisit this function in a future post. Compatibility with AutoCAD Map is critical if BricsCAD/SPM are to be used as complementary seats. Two basic tests were conducted to ensure that EED data created by SPM and Object Data created by AutoCAD Map were preserved as drawing files were shared between the two applications. The drawing files moved seamlessly through both applications with the EED remaining intact. Again, data was moved seamlessly between the two environments with no changes. I was particularly curious about the KML/Google Maps interface of SPM. This capability fits well with my earlier blog on using My Google Maps. In addition to the excellent core functionality of the SPM, it has a number of convenience features that improve overall efficiency. These are signs of a well designed product with a focus on end user efficiency. The shortcuts bar allows you to create shortcuts to commonly used folders. This makes it much simpler than browsing out to find specific files. The SPM is a great product that does exactly what it advertises at a reasonable price. With any product, however, there are always wish list items Below are some suggestions that I believe would make the product even more efficient. In the United States, users will often be importing SHP files that are provided by government agencies and will be interested in only a subset of the entire file. The ability to limit the area to be import to either the current display or a user defined window would be useful. Often, users will want to only import a subset of the data based on values stored in the attributes of the import file. For example, limit the parcels imported based on the municipality name. Ideally users would be able to select the field and then give the import criteria based on the field data type. Standard criteria such as >=, <=, =, contains, in should be provided. A nice feature would be the ability to select the fields to be imported from the source file. Ideally, users would be able to change the field name during the import. When combined with the Task Manager, this would be a very powerful feature. This feature would allow users to define labels/text that would be created from the import data. This could be done during import or as an add-on function that would allow users to create labels from the EED after data import. Spatial Manager is a great product for those BricsCAD users who need access to external geo-spatial files such as Esri SHP files. It does not, nor should it, try to replicate all of the features of AutoCAD Map. It does, however, provide virtually everything that an average user would need to import geo-spatial data. This entry was posted in AutoCAD, BricsCAD, Mapping and tagged BricsCAD, esri, geospatial, shp files, spatial manager. Bookmark the permalink.